The Visit Greene County web site is administered by the Greene County Tourist Promotion Agency (GCTPA). 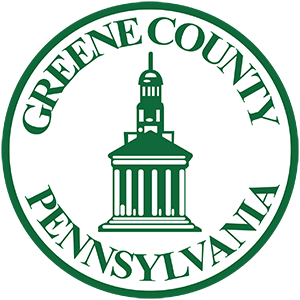 The Board of Commissioners of Greene County has designated GCTPA as the official tourism promotion and development organization for Greene County, Pennsylvania. The mission of the Greene County Tourist Promotion Agency is to create and manage effective tourism and convention promotion and development initiatives in cooperation with and in service to private and public tourism venues for the purpose of increasing the economic impact and the quality-of-life benefits of tourism in Greene County. The Visit Greene County websites, http://www.VisitGreene.org, http://www.VisitGreene.com, http://greenecountytourism.org, and http://GoGreeneCounty.org, are provided as a public service. The site is managed by the Greene County Tourist Promotion Agency (GCTPA). Please note that users of this web site are responsible for checking the accuracy, completeness, currency and/or suitability of all information. GCTPA makes no representations, guarantees, or warranties as to the accuracy, completeness, currency, or suitability of the information provided via this web site. GCTPA specifically disclaims any and all liability for any claims or damages that may result from providing the Visit Greene County website or the information it contains, including any web sites maintained by third parties and linked to the Visit Greene County Web site. The responsibility for content rests with the organizations that are providing the information. The inclusion of links from this site does not necessarily imply endorsement by GCTPA. Specific questions regarding a document should be directed to the appropriate organization and not necessarily to the Visit Greene County webmaster. GCTPA shall make only reasonable efforts to independently verify, and does not exert editorial control over, information on pages outside of the https://www.VisitGreene.org domain. GCTA does not endorse any of the products, vendors, consultants, or documentation referenced in this web site. Any mention of vendors, products, or services is for informational purposes only. GCTPA does not collect or track personal information from Visit Greene County Web site visitors. Generic information from server logs may be used to track the number of hits to the site, and to find out what types of browser software are used by visitors. This information will be used only in aggregate form, and used solely for improving web site usability and design. If you send us an electronic mail message with a question or comment that contains personally identifying information, or fill out a form that e-mails us this information, we will only use the information to respond to your request. We may redirect your message to another government agency or person who is in a better position to answer your question. At no time do we share information with third parties for commercial purposes. We do use log analysis tools to create summary statistics, but which are only used for purposes such as assessing what information is of most interest, determining technical design specifications, evaluating system performance, or identifying problem areas. We do this in an effort to make our site more appealing and useful for our users. https://www.VisitGreene.org (and all related domains). – Copyright ©2018, Greene County Tourist Promotion Agency (GCTPA). No part of this work may be copied, reproduced, or translated in any form or medium without the prior written consent of GCTPA. Although much of the content on our site is public information, GCTPA maintains and will defend a copyright interest in these pages. Permission may be granted to redistribute this material in its entirety provided that this copyright notice is not removed or altered. No portion of this work may be sold, either by itself or as part of larger work, without the express written permission of the GCTPA. To obtain permission to reproduce the information (text or graphics) contained on the Visit Greene County website, contact the Visit Greene County webmaster at tourism@co.greene.pa.us. You do not need to get advance permission to link to us if you are making a simple link to the homepage. You may also link to one of our subpages, where appropriate, but again, please use the base URL of https://www.VisitGreene.org. The link has gone dead or remains unavailable for a lengthy period, especially if GCTPA is unable to contact the site’s administrators about its status. GCTPA does not enter into reciprocal link agreements. We provide links to sites that are appropriate to our mission. Our creation of a link to your site does not obligate you to provide a link back to us and vice versa.